Posted on December 12, 2016 by Maddy Hopson / This entry was posted in Informative, New Products, Product Reviews and tagged brooklyn smoke shop, concentrate vaporizer, herbal vaporizer, new, new product, new products, nyc smoke shop, pax, pax 3, pax labs, portable vaporizer, vaporizer. Bookmark the permalink. In 2007 PAX Labs released their first portable vaporizer, The Pax, and its impact would be profoundly felt throughout the industry for years. With the original and its successor, The Pax 2, the company remained dedicated to its high standards to craft a powerful, stylish, and portable herbal vaporizer that could compete alongside the biggest names in the business with even bigger price tags. Now PAX Labs has released their latest and most highly anticipated iteration of their beloved vaporizer: The Pax 3, boasting dual-use compatibility, a powerful oven, and access to the exclusive PAX Vapor App, among many other new improvements and features. 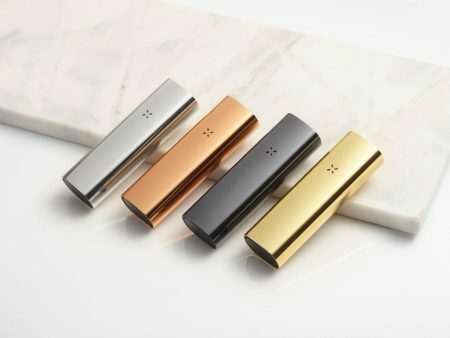 The Pax 3 is available in black, silver, gold, and rose gold! It’s important to first break down the technology that the PAX 3 operates on in order to provide its premium smoking experience. Its large oven – which can be loaded full or half-sized – provides consistent heat to the material and releases a powerful hit in the form of a smooth, smokeless vapor. This slow burning method helps to preserve your materials for longer and reveals a strain’s particular flavor and smell without sacrificing efficiency; the oven can heat and produce vapor in under 15 seconds and subsequent heat-ups are almost instant. Even with this power the Pax 3 boasts 2 times the battery life of its predecessor. 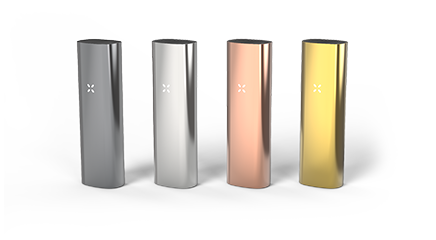 Another hugely anticipated perk of the Pax 3 is its concentration insert which allows users to smoke non herbal material like oils or waxes. 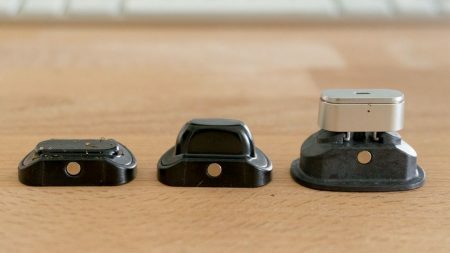 And when you’re done with that particular method, it’s easy to snap the insert out and replace it with the full or half-full oven lid for herbal use, thanks to magnetic grips between its parts. This ingenious technology is also used in the Pax 3’s flat mouthpiece which also functions as a power and settings button when pressed down against. Like its predecessor it only requires that you press your lips against the mouthpiece for it to begin heating your material, but comes with a raised mouthpiece should you want a change. Colored LED lights on the front of the product relay information to the user and vibrates once ready to use. Set the Pax 3 down and it will cool down just as quickly as it heated up. 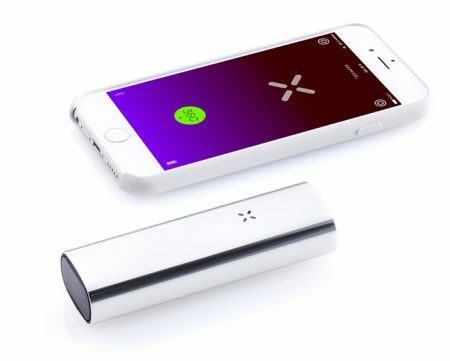 Another upcoming feature to enhance communication between the user and their Pax 3 is the official PAX Vapor App which allows for exact temperature management for more flavorful (low setting) or thick vapor (high setting), depending on personal preference. There’s also a setting for when you’ve transitioned away from herbal material and into concentrates and it will adjust itself accordingly. The Pax 3’s design is similar to its past iterations with enhancements to the overall aesthetic experience. At just under 4 inches in height, 1.2 inches in width and 0.8 inches in length, this vaporizer is slimmer and lighter weight than before. Each device has a sleek metallic sheen available in silver, black, gold, (and only in select shops) rose gold. Its minimalist design, featuring no buttons or settings but only the small flower of LED lights, is stylish and discreet. The size, weight, and design makes this vaporizer portable and easy to use without sacrificing power or style. PAX Labs is well known for having an industry-leading 10-year warranty on all their products and an outstanding reputation for customer service and no-questions-asked repairs. The Pax 3 kit is also generously loaded with extra goodies alongside the standard device and its parts: a charging cable and dock, a maintenance kit with cleaning tools, three screens, and a Pax multi-tool keychain that’s perfect for packing down material. 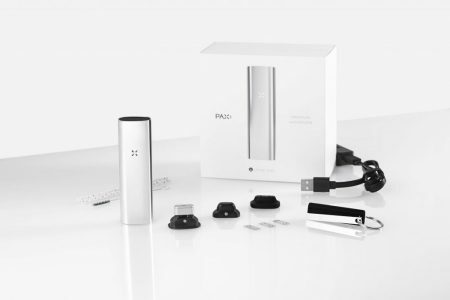 The Pax 3 kit comes with the device, two oven lids (full and half-full), a concentration insert, charging cable and dock, 3500 mAh Battery, maintenance kit, multi-tool, 2 mouthpieces and 3 screens. The Pax 3 is yet another show-stopping addition to PAX Lab’s impressive history of crafting industry-leading portable vaporizers for an affordable price of $275*. It may be tiny but the Pax 3 packs a mighty punch. Buy yours in person at one of our locations or from us online!